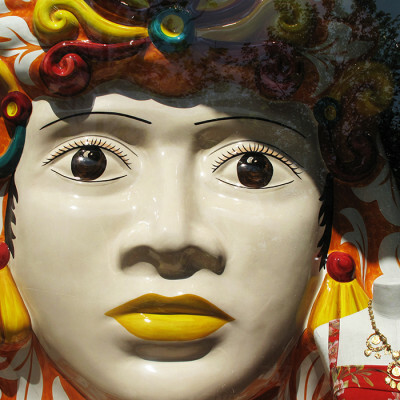 The Italian Fashion brand Dolce & Gabbana featured large Sicilian ceramic heads in their Spring window displays. 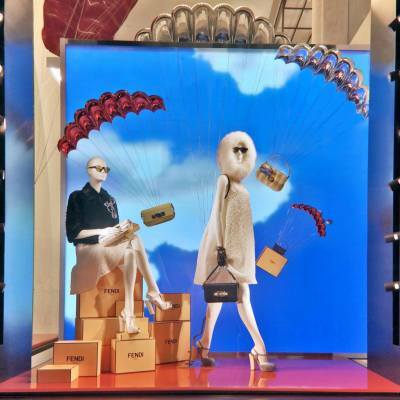 Following the success of Viktor & Rolf’s new candy scented fragrance, Bonbon L’Oreal has introduced a second phase of the launch with their ‘sculpture’ window in Selfridges. 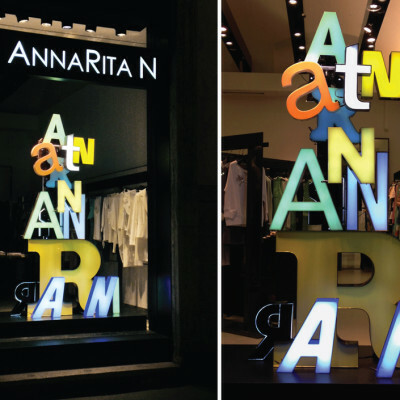 ARTE VETRINA PROJECT dressed the AnnaRita N store windows for Milan’s design week with an installation that enlightened the Italian design mood that the stylist cherishes so much. 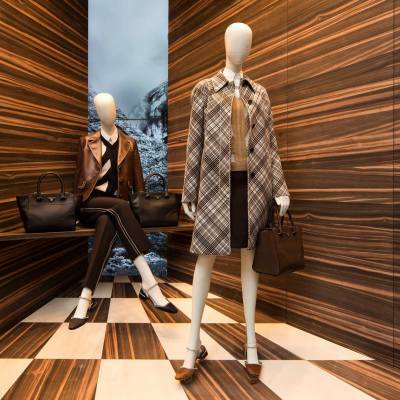 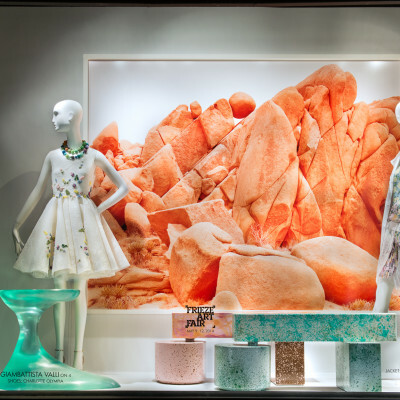 Bergdorf Goodman is proudly sponsoring the Frieze New York art fair for 2014, collaborated with Salon 94: a participating gallery at Frieze Art Fair New York, to create installations in three 58th Street Bergdorf windows. 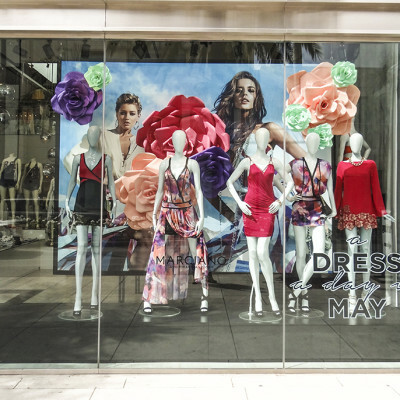 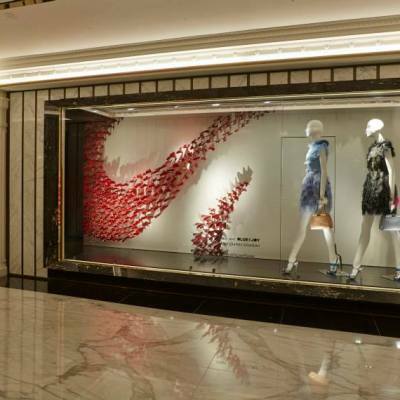 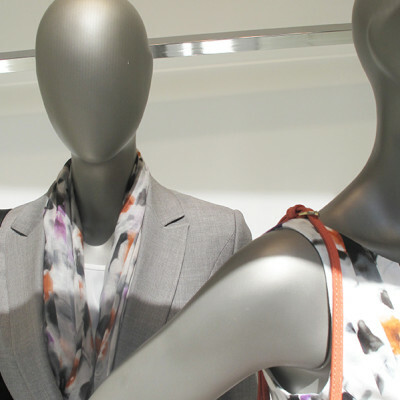 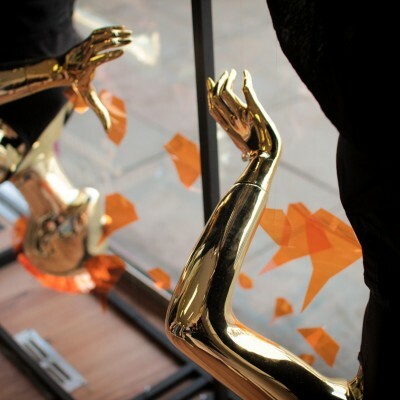 Visual merchandisers Brittney Russell and Jenn Dey created the spring window display of Marciano, a DRESS a day in MAY. 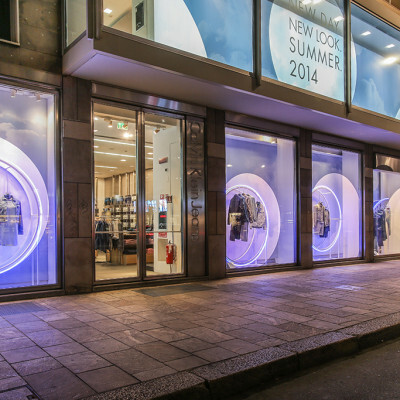 HUGO BOSS created a white abstract spring window display, using the silver steel you can see in most of their window displays. 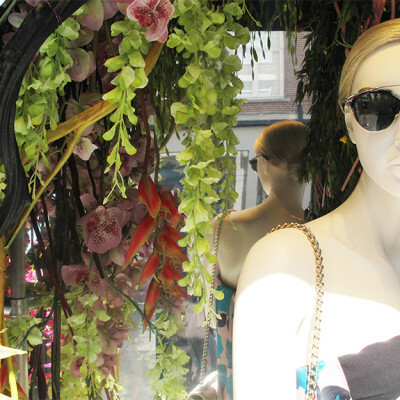 Dior brought their floral installation from the Runway to their spring window displays.